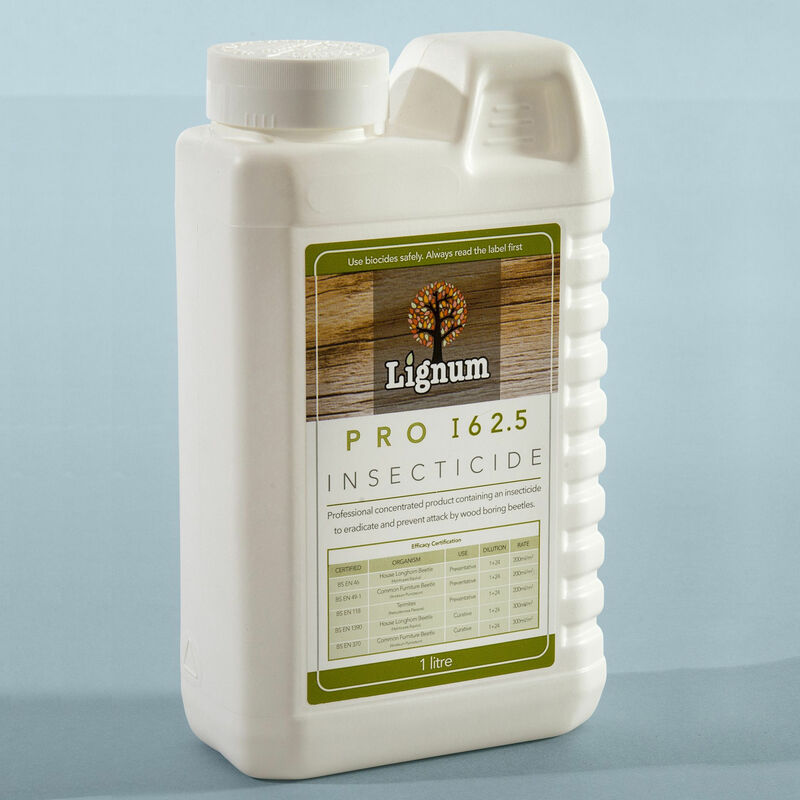 Lignum Pro I62.5 is an insecticidal woodworm treatment formulated with micro-emulsion technology. It has a tiny particle size, which is in the nanometre range. This allows it to penetrate deep into timber in order to deliver the active insecticide ingredient. 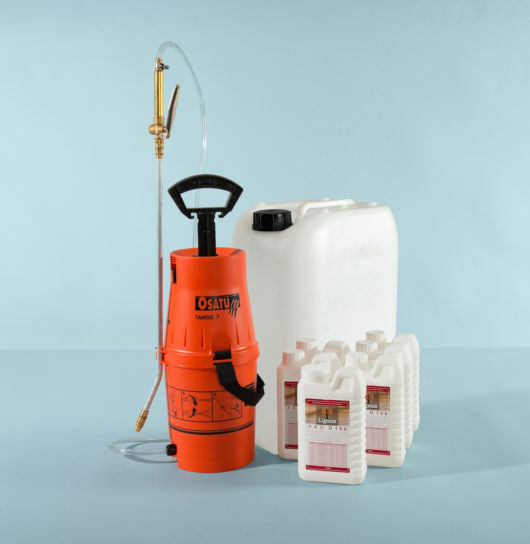 The insecticide eradicates wood boring insect attack and safeguards timbers against future woodworm infestation. Open up and make accessible as much timber surface as is practical; e.g. lift some floorboards to gain access to both top and bottom surfaces of timber floors and to flooring joists. Remember to calculate the full surface area when ordering. For example floorboards in a 4m x 4m room will have 16m2 top surface and a 16m2 bottom surface. The floorboards may be supported by ten 150mm x 50mm joists with 3 exposed surfaces. Therefore in addition to the 32m2 floorboard surface there is another 14m2 of accessible joist surface area to treat (150mm + 150mm + 50mm x 4m long x 10 joists = 14m2). Subject to wood and ambient conditions the product is touch dry in 1 hour and should be suitable for overpainting, varnishing or staining in 24 hours. Unprotected persons and animals should be kept away from treated surfaces for 48 hours or until dry. Product does not have a finish and leaves the same effect as applying water or solvent. However it is always advisable to try on a small inconspicuous area before application to ensure product finish is as expected. Rinse out spray equipment and save washings for use as diluents for the next use. Remove most of product from brushes with tissue and wash brush with soap and clean water. 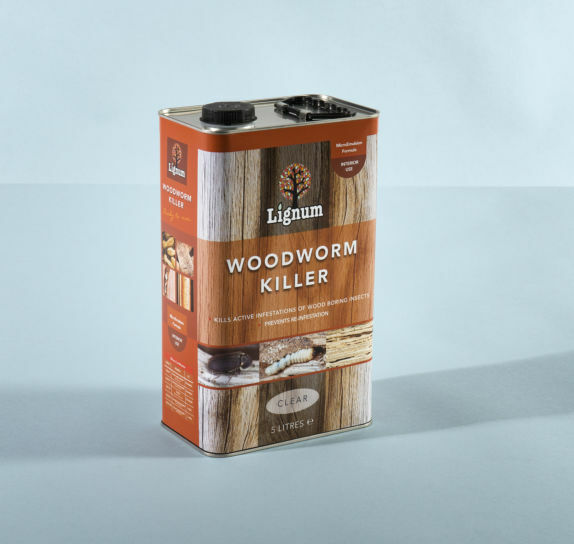 This high-strength insecticidal woodworm treatment is designed for professional use in eradicating woodworm infestation in floors, roofs, structural timbers, wooden panels and furniture.